It feels a bit strange being back here after almost three years! I started the Red Pants and a Mustache blog back in September 2011 in Stockholm. 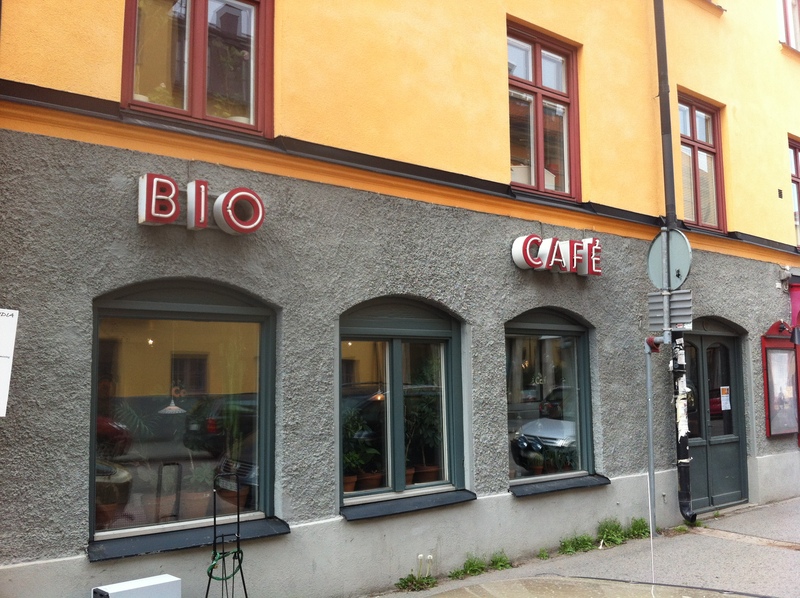 I blogged about cafés in Stockholm for about three years, until my girlfriend (now wife) moved with me from Paris and my weekends got busy with other activities. Ever since we moved to Seoul in September 2016, my wife has been suggesting that I should blog again. Part of me wanted to but I felt overwhelmed by this city, everything that I had to discover, explore, and I wanted to use the little time left for really important things, like sleeping for example! Now that I have been here for over a year and that I know that I’ll be here for a few more years, I feel like I could give it a try. So here I am! When I woke up this morning, I had no idea I would be writing this post today. The only plan I had was to have lunch at Vegetus, a vegan restaurant in HBC. My wife had ordered food at Sprout and the idea was to walk to HBC, have lunch there, pick up the food and get back home. The perfect lazy Sunday. However, we finished lunch around 2:00 pm and had an hour to kill before picking up the food. That’s how we ended up at Le Café. My wife sang with a choir in this neighborhood earlier this year. She had been to Le Café and told me the coffee was good. I did not need any more convincing to go in. The place is pretty small (5 or 6 tables), and the atmosphere is quite relaxing. Other customers included a couple of girls busy with their laptops, a young couple just holding hands and another couple who looked like they were models for COS. The coffee is pretty good. I had a caramel macchiato, which almost felt like I was having dessert. It was a nice change from all the Americanos I drink too often in Seoul. There is also a small but interesting menu. However, after the excellent vegan burger I just had at Vegetus, I just couldn’t have any of the banana or citron bread. 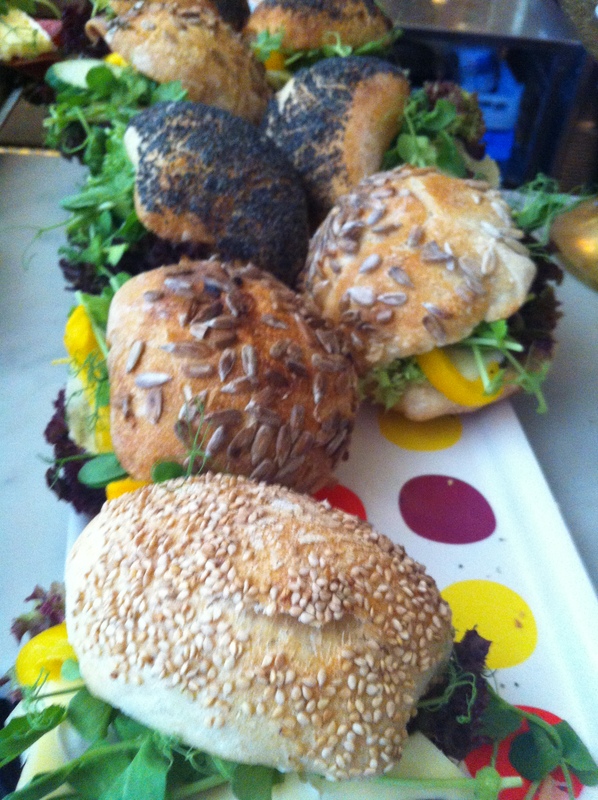 There are also sandwiches (panini) on the menu. 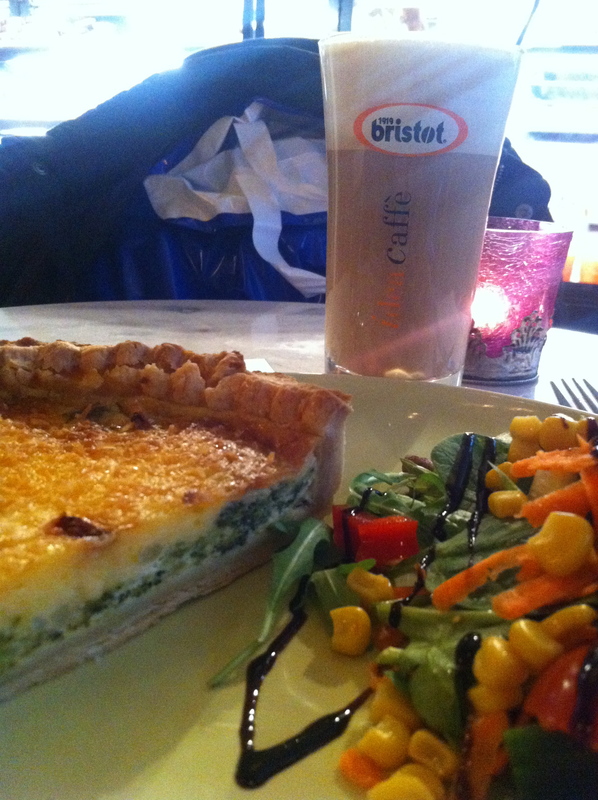 While there are millions (I’m not kidding) of cafés in Seoul, I suspect I will be back at Le Café. Indeed, when we feel like non-Korean food, we often end up in HBC. And I definitely want to try the carrot cake or the banana bread! It had been a while since I last was here! I guess I have been lazy. 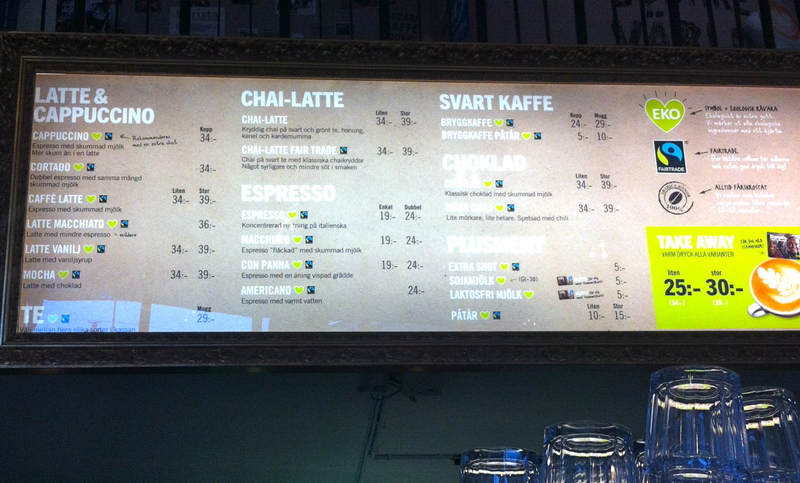 There has been a worrying trend recently in Stockholm with the big coffee chains opening new shops every where in town. Even the big American brands which, until recently, were limited to the airport and the train station are now opening up stores in the city. As a result, I spent most of my time enjoying coffee in places I knew, places I like, places that are reassuring! 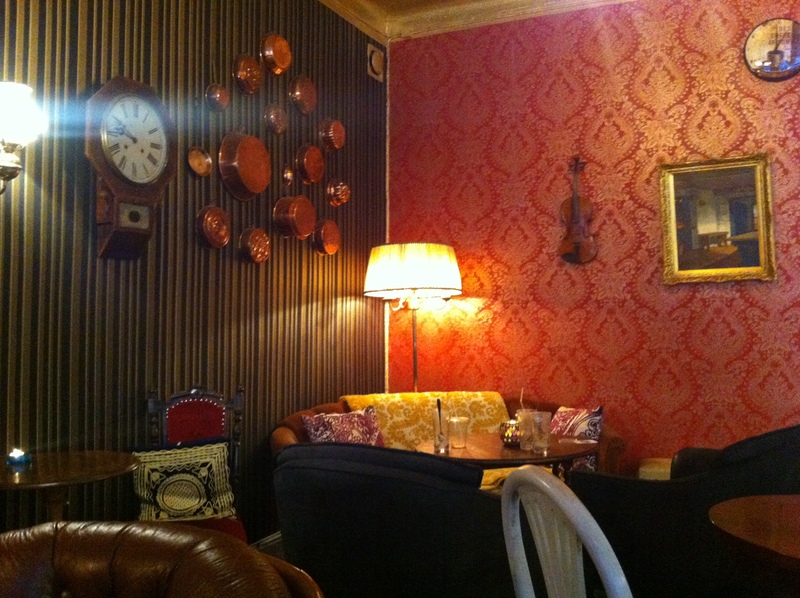 But then, I noted a few new places that deserved some attention, and Café Lazy House was at the top of my list! I had checked out some reviews about the place before leaving home this morning and I learned that Café Lazy House was run by a young couple. Actually, there were a few 20-something in the place this morning and I was really impressed by the atmosphere they managed to create in Gamla Stan. I always thought that the old town was mostly a tourist trap. With Café Lazy House, these guys prove that you can be cool right in the middle of the biggest touristic area! I may have been impressed by the look of the place as soon as I walked in but I am a difficult customer. I also expect good quality food and coffee! And guess what, Café Lazy House is doing great in that department too! In fact, my only problem was that everything looked good! 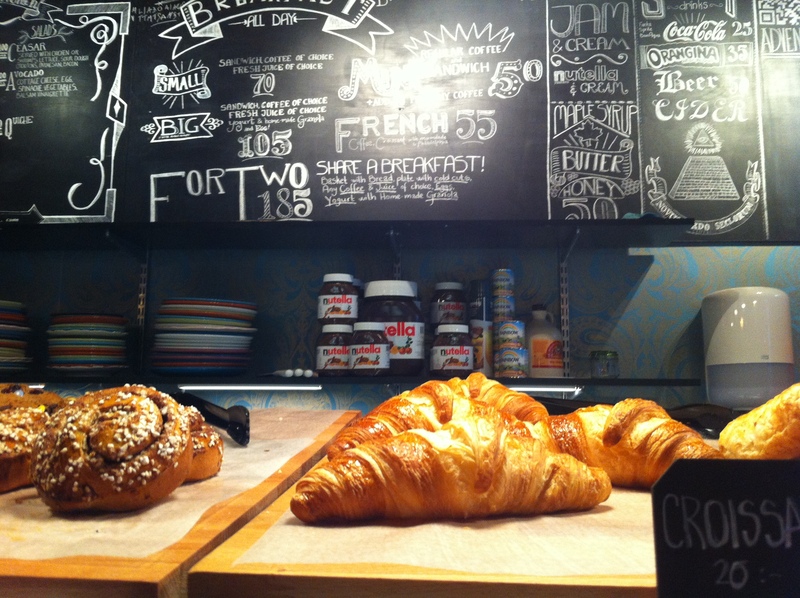 From croissants to bullars… and look, the maple syrup comes from Canada! I went for a 10k run this morning and was back home even before sunrise! This is not only about bragging, this is also about justifying all the food I had at Café Lazy House! To be honest, I was full after the wonderful broccoli and blue cheese pie (served with an excellent salad) but I just could not resist the chocolate cookies with smarties. 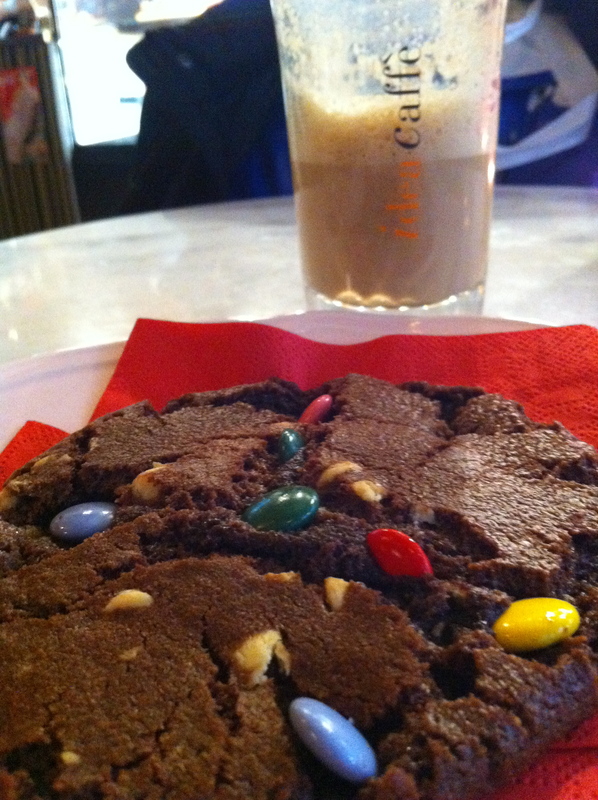 And while I was first attracted to the smarties, the cookie itself was one of the best I had in Stockholm! Run to Café Lazy House. This is one of the best things that happened to Gamla Stan in 2014. The staff is friendly, the atmosphere is cozy and the food is great. I met R in the Balkans in 2006. At first we were colleagues but we quickly became friends. And – until today I had not thought about this – since then our lives have followed a very similar path… We both returned to Canada in 2009. And we both found ourselves single, rather unexpectedly in his case! By convenience we became roommates. An arrangement that worked well for me since he left after 18 months, and I had the house to myself. We are now both back in Europe and he came to Stockholm for a visit this weekend. This was the last weekend where a visit was possible for quite some time as we will both be quite busy in the coming weeks. Indeed, our girlfriends are both moving in on 16 August. Mine from Paris, his from London. 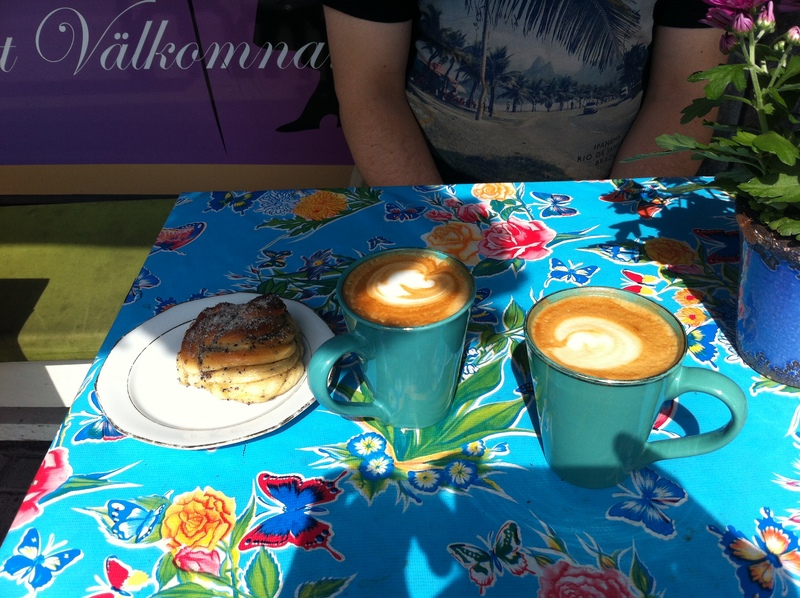 After a night out on Friday, where we experienced a fantastic brewpub in Hammarby Sjöstad (Nya Carnegie Bryggeriet) and a nice summer club under the bridge (Trädgården), we badly needed good coffee on Saturday morning. By the time we left the house, half of Stockholm was getting ready to march in the Pride Parade. And the other half to watch the parade! This probably explains why there were some room at Gildas Rum on that day! 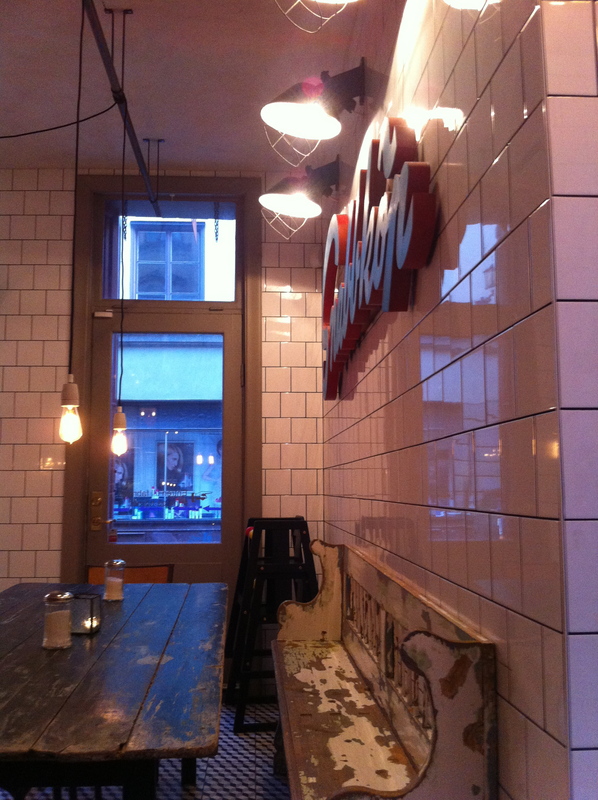 Gildas Rum is on the north side of Nytorget, otherwise known as hipster central. I am not a hipster but I spent a fair bit of time in that area 🙂 And usually on a nice Saturday like this one, one has to be lucky to have a table outside! 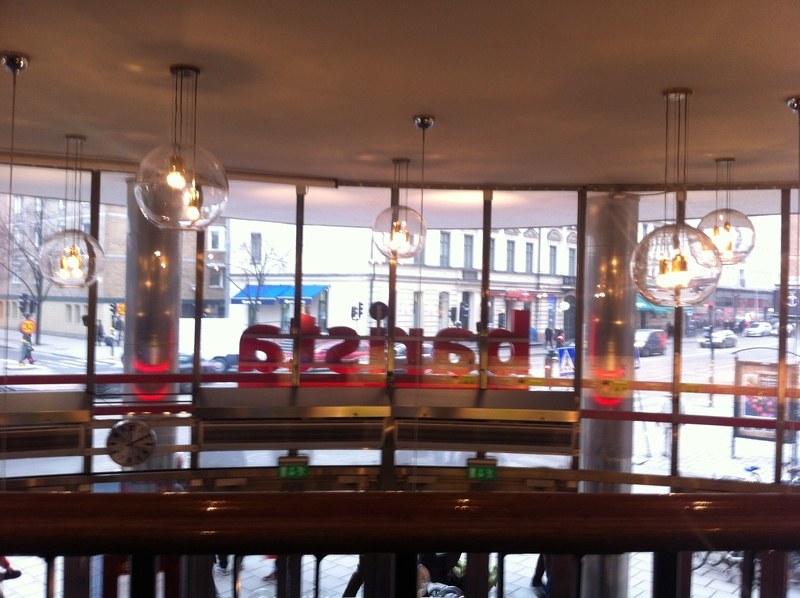 I had decided that we would have lunch at a nearby place which I had recently noticed and which looks really cool: “Meatballs for the people”. Therefore I decided not to eat anything at Gildas but that was a tough decision. R does not seem to worry too much about looking fit for his girlfriend’s move and had something to eat. He was somewhat reasonable though and only had the traditional kannelbulle! We spent a lot of time enjoying the nice weather and the good coffee, while talking about the big changes that are about to happen in our lives. R and I are different in many ways, but we both share the same set of feelings (happiness, excitement, relief…) at finally being reunited with our girlfriends after almost\over two years of long distance relationship. 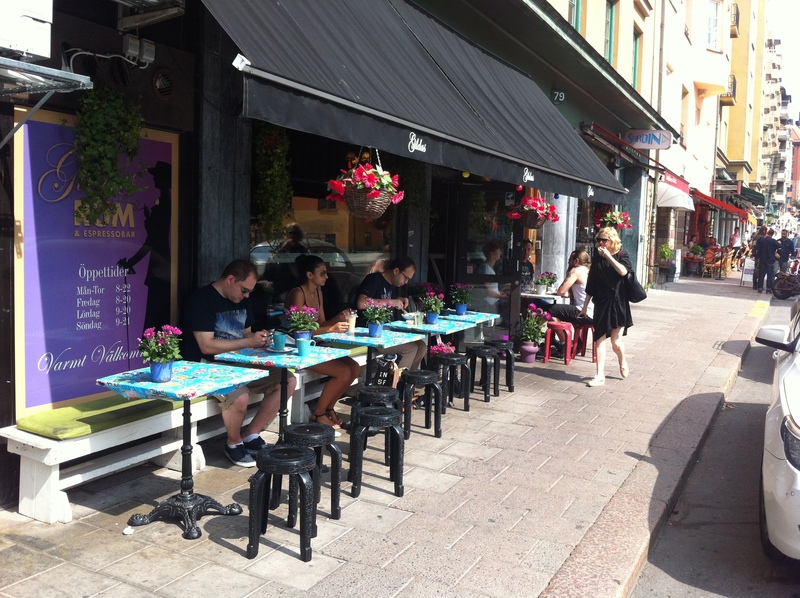 Gildas Rum is a great place for an outdoor stop in Södermalm. But I could easily imagine myself inside during a cold winter night. And yes, Gildas Rum is open late at night (at least for Stockholm’s standards): until 10:00pm from Monday to Thursday, 8:00pm on Fridays and Saturdays and until 9:00pm on Sundays! Unfortunately I did not take any good shots of the inside but the picture below will give you a good idea of how it looks like (and you can see great photos on Gildas’ website). We could have spent the entire afternoon at Gildas but the time had come for meatballs. And for the Pride Parade! Nothing with my friend AP is simple! And that’s ok because she is Serbian (although also a Swedish citizen since a couple of months ago) and all the little complications with her remind me of my time in the Balkans. You think I am too harsh? Well, remember her move? Or when I waited for her at Albert & Jack’s? But you are right, I am not really complaining, especially since this time it involved making plans to celebrate Djurdevdan on 6 May! Djurdjevdan – the feast of St. George – is one of the most important Slava in Serbia, one that happens to be celebrated by AP’s family. And the cool thing with Slava (other than all the eating and drinking) is that it is actually the family celebrating that is hosting. This means that AP has probably been cooking for the last 48 hours. But in order to do so, she needed the appropriate Balkan products. 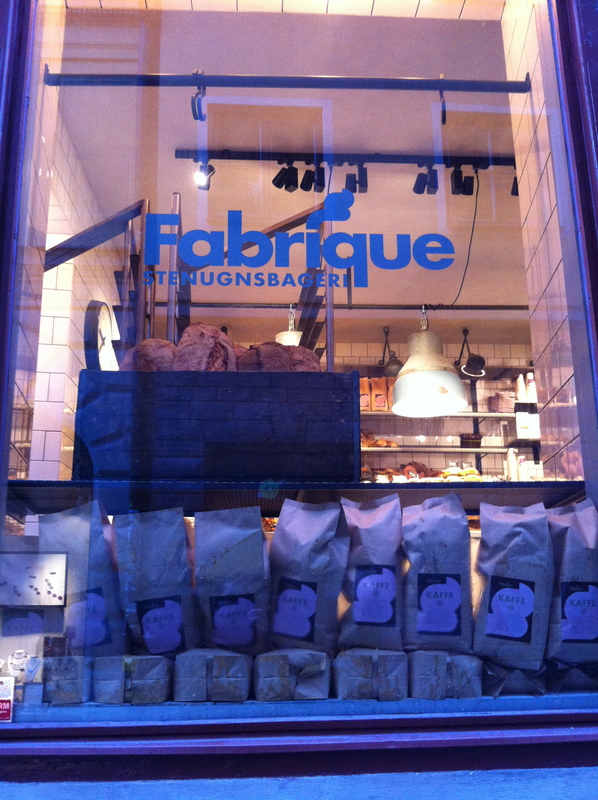 And where does one find the best Balkan products in the Stockholm area? In Skärholmen! Now, if you look at a map of Stockholm’s subway, you will see that both Skärholmen and Midsommarkransen are on the red line. But if you look carefully, you will see that they are on two different branches of the red line… Anyhow, on our way to Skärholmen, we managed to end up in Midsommarkransen. Which is great because I was quite happy to discover a new area of Stockholm. I understand that Midsommarkransen is a nice suburb of Stockholm where hipsters from Södermalm go when they have kids and need a larger flat. Midsommarkransen certainly feels much quieter than Söder but I understand why ex hipsters would want to live there. 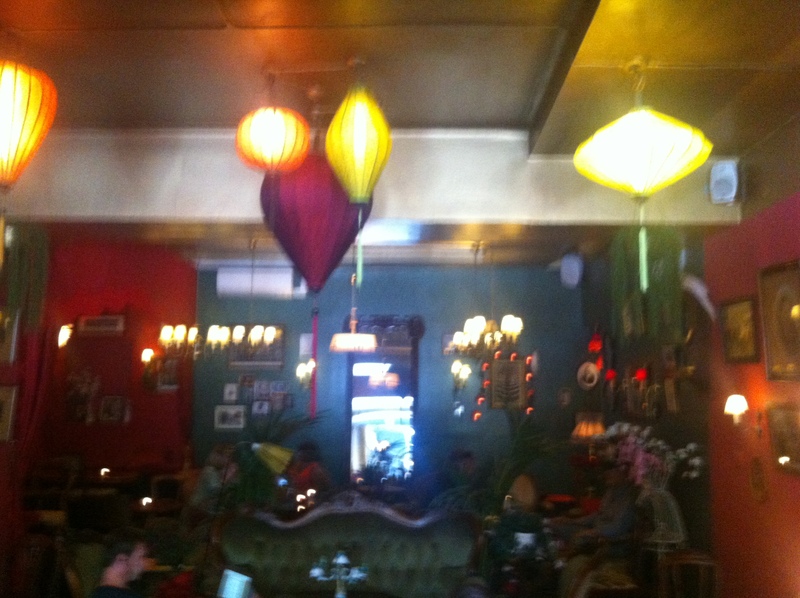 I could feel a very good vibe there, and of course Tellus Bio & Café helps in that regard! Tellus is a small neighbourhood movie theatre from the 1920s, which has been run by a nonprofit cultural organization since 1986. Tellus has about 70 volunteers that do everything, from baking cakes to running the projectors for movies. 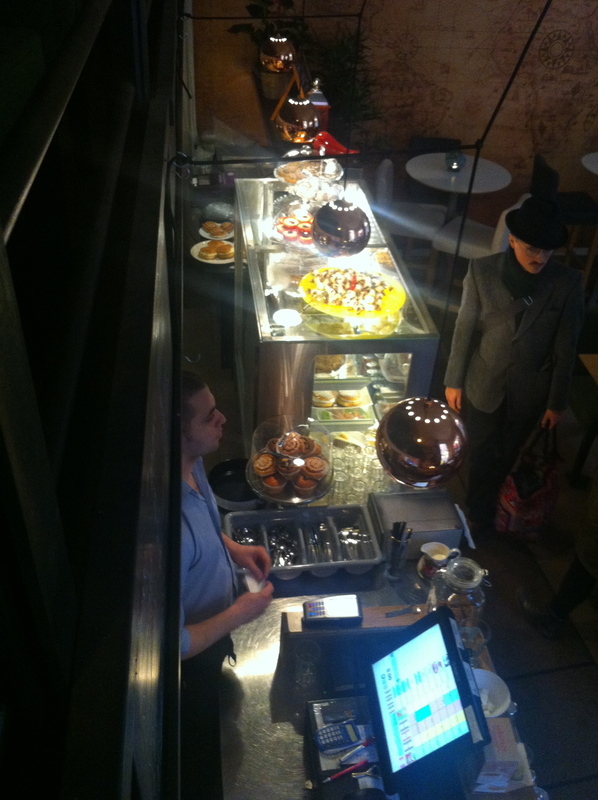 I understand that the café (and the cinéma) can be hired for private functions. And I feel like we walked into a private birthday lunch on Sunday when we entered Tellus! But that did not prevent me from enjoying a nice piece of cake. 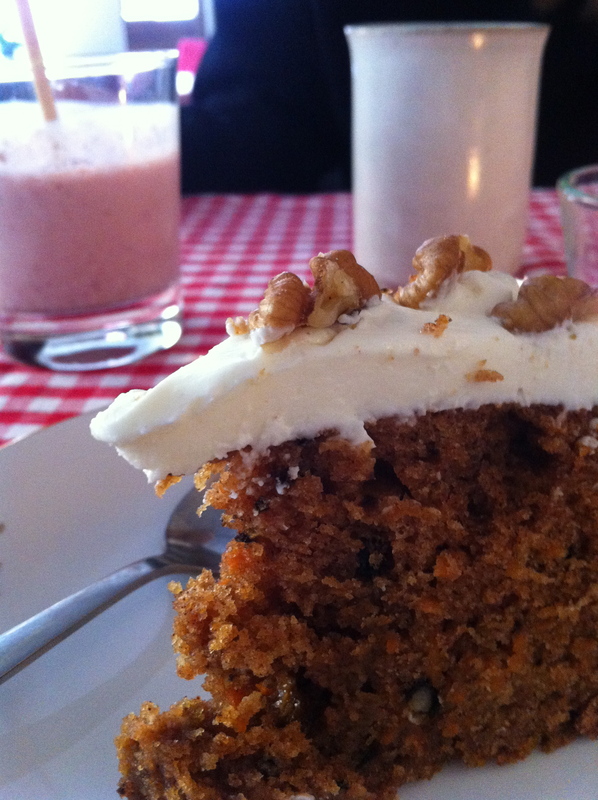 Carrot cake of course! There is nothing fancy at Tellus. No fancy latté or cappuccino. Just simple brewed coffee and tea. Nothing fancy but everything’s good. I had a wonderful raspberry milkshake (in most places they would call it a smoothie but not at Tellus) with my cake. I would love to go back to Tellus. It feels like everything there stopped in 1986, when the place became a nonprofit institutions. I will certainly go back to Tellus. First, I did not spend enough time in Midsommarkransen as we had to get to Skärholmen. But also because I would love to watch a movie in this old cinema theatre. In fact I just realized that Tellus is presenting The Grand Budapest Hotel later this month. I have already seen it but I’d love to see it again in that setting. And judging by the program which, in addition to movies, includes music and literature, there are plenty of good reasons to go back to Tellus! 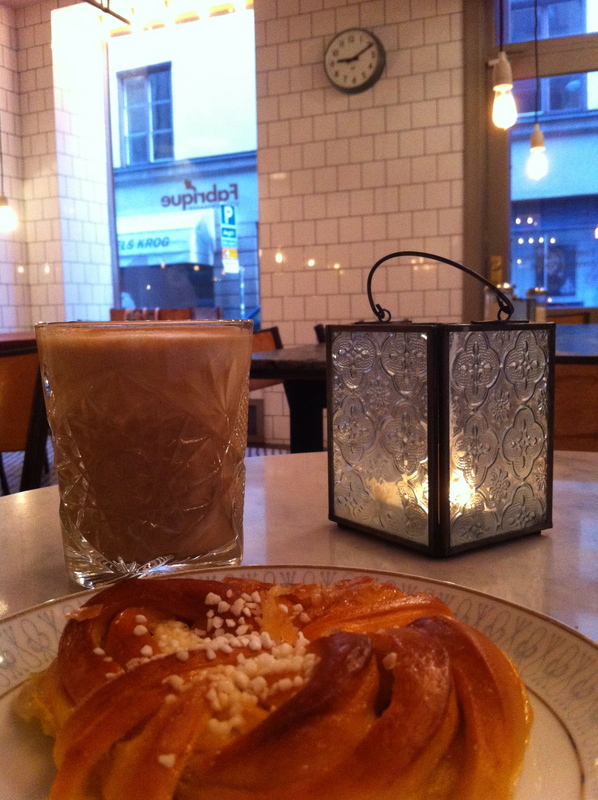 After my somewhat disappointing experience with the first café this Sunday morning, I headed towards Barista on Götgatan in Södermalm. Barista Fair Trade Coffee was created in 2006. 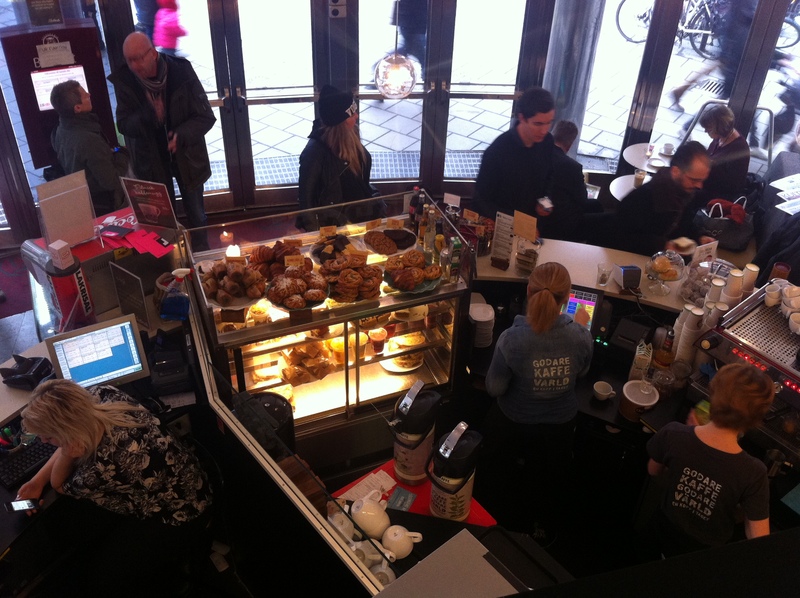 Today, there are about 20 cafés in 7 different Swedish cities. 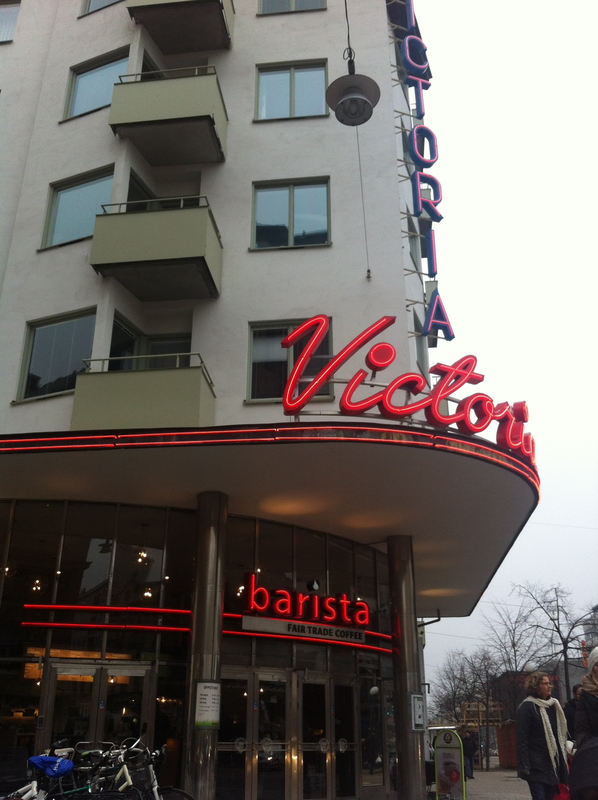 I have been to the one in Södermalm many times, as it is located in one of my favourite cinemas in town: Bio Victoria. I can’t explain why I never included Barista in this blog before. 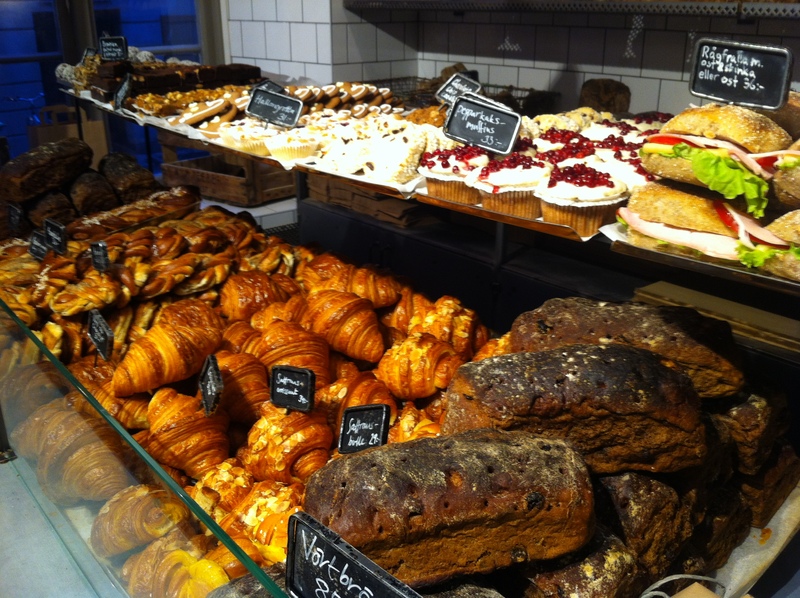 The coffee is great, the atmosphere is fun, the staff is friendly, there is a large selection of cakes (but also salads and sandwiches), and I go there all the time. In addition to promoting fair trade coffee, Barista also supports a wonderful cause with the UN to provide meals to students in Ethiopia. When buying a “membership card”, a Barista’s customer gets 10% off the bill, and Barista makes a contribution to a school in Ethiopia. You can learn more about this nice initiative here. I did not know about this initiative until I was offered to buy a card today. 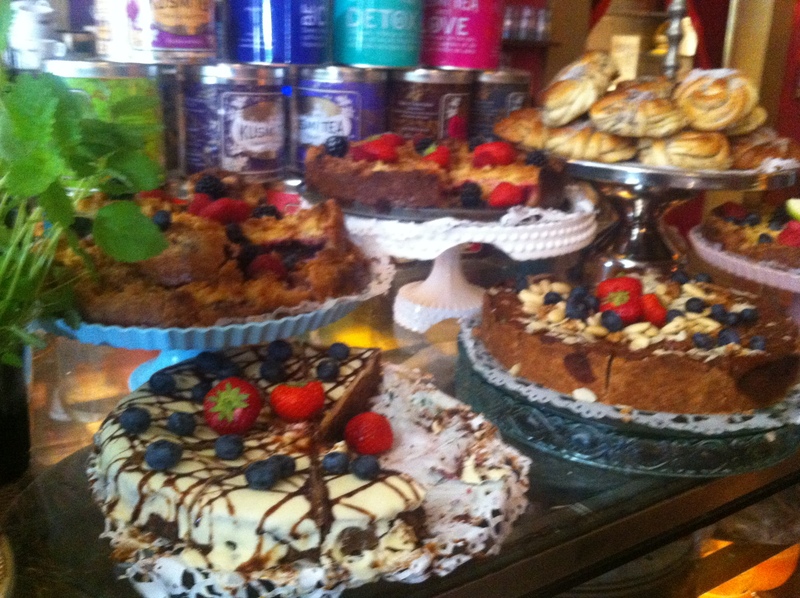 Which I did, together with my latté and a chocolate chip cheesecake! 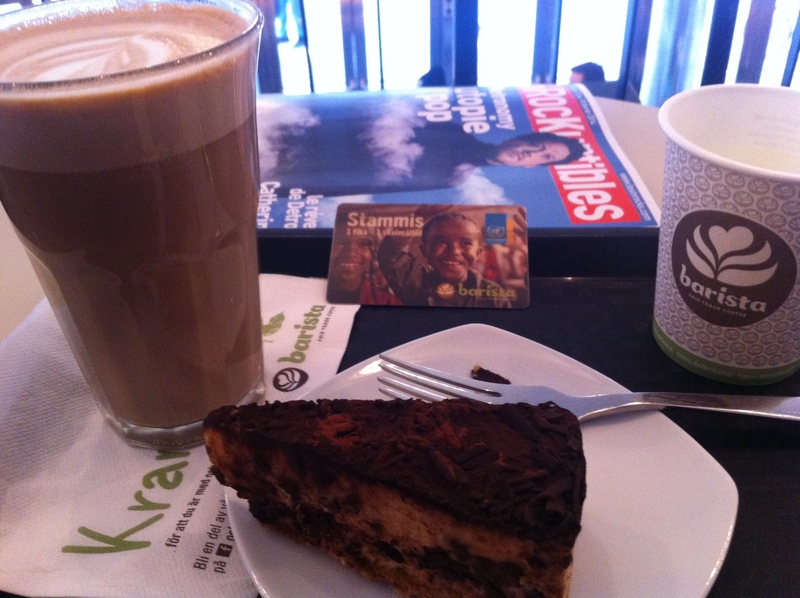 Barista has all kind of nice organic, environment friendly and fair trade stuff on its menu. Being located in a cinema with seven screens, the place is always busy and noisy. It can also be difficult at time to get a table. Thankfully I got there at a good moment today and I managed to get a table on the second floor (that seems to be the theme of the day), again with a nice view on all the cakes on the first floor! And after another nice fika at Barista, the Sunday afternoon ended with a beautiful movie: Inside Llewin Davis from the Cohens brothers. The movie won the Grand Prix at the Cannes Festival in 2013. I have now seen the three movies that won the main prizes at Cannes in 2013: La vie d’Adèle (Blue is the warmest color) which got the Palme d’Or, Like Father, Like Son which got the Jury Prize, and now Inside Llewin Davis, and I highly recommend all of them. I usually hate Sunday evenings because it means the weekend is about to end. However, the good thing about this week is that Stockholm’s Tempo Documentary Festival begins on Tuesday. That means that I’ll spend a bit of time at Victoria this week. This means more coffee at Barista… and probably more cakes too! Recently I realized that I had no reason really to rush home at night after work. As a result, I decided to walk the most pleasant routes back home, not necessarily the fastest one. 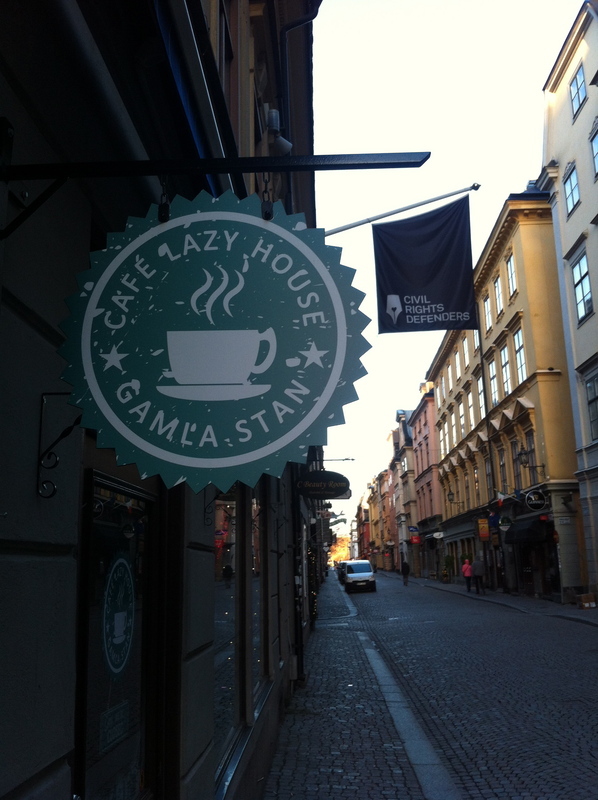 This is how I noticed a new – or at least new to me – café in Gamla Stan: Cosy Café. Personally I find the name a bit cheesy but it looked pretty nice inside. Unfortunately, by the time I’d walk by at night (usually between 19:00 and 20:00), it was closed, or about to close. 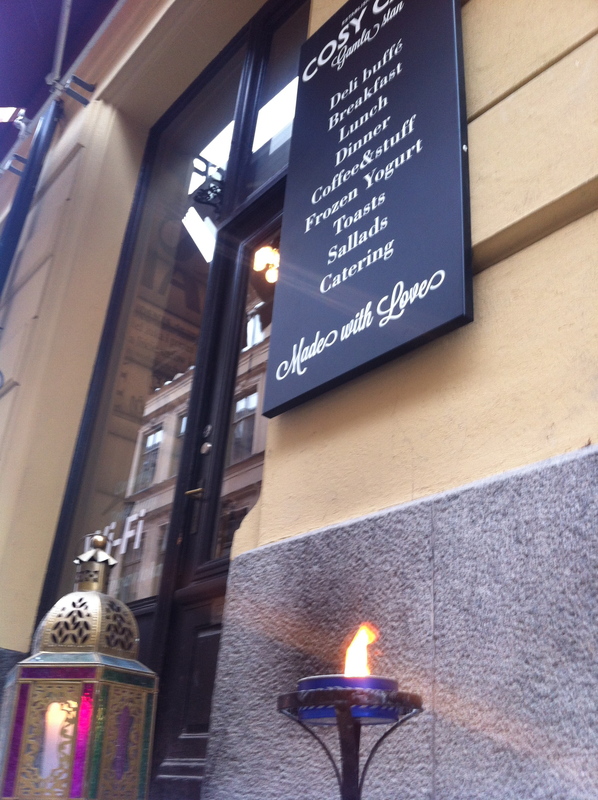 While I avoid most cafés in Gamla Stan – not because they are not good but because they offer a product that is not what I am looking for, i.e. 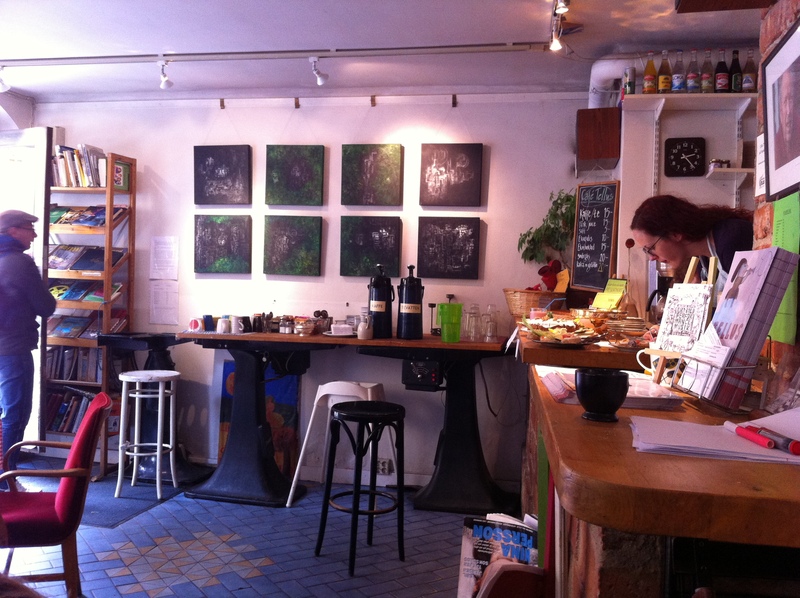 services to tourists and/or irregular clients – I was prepared to check out this Cozy Café this weekend. Cozy Café is indeed a nice place with extremely friendly staff. 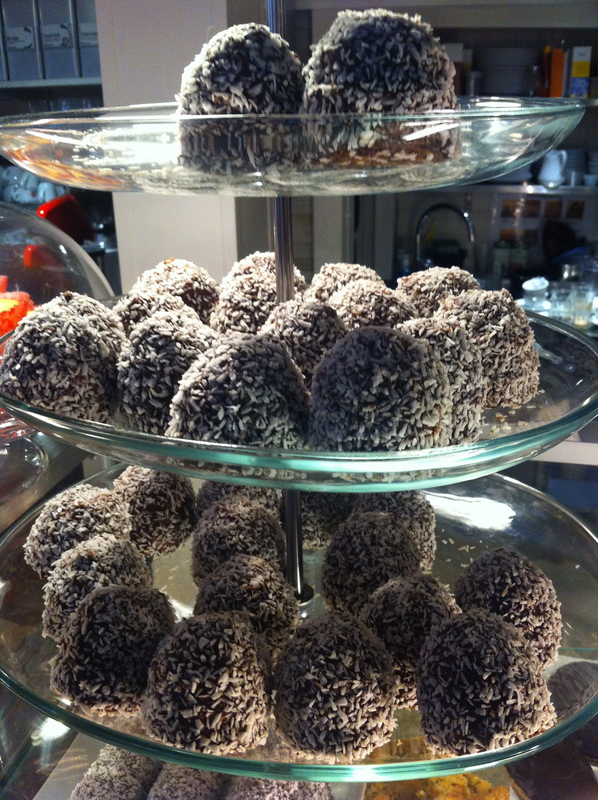 Options for fika are consistent with what one would find in most cafés in Sweden, with the usual Choklabollar! 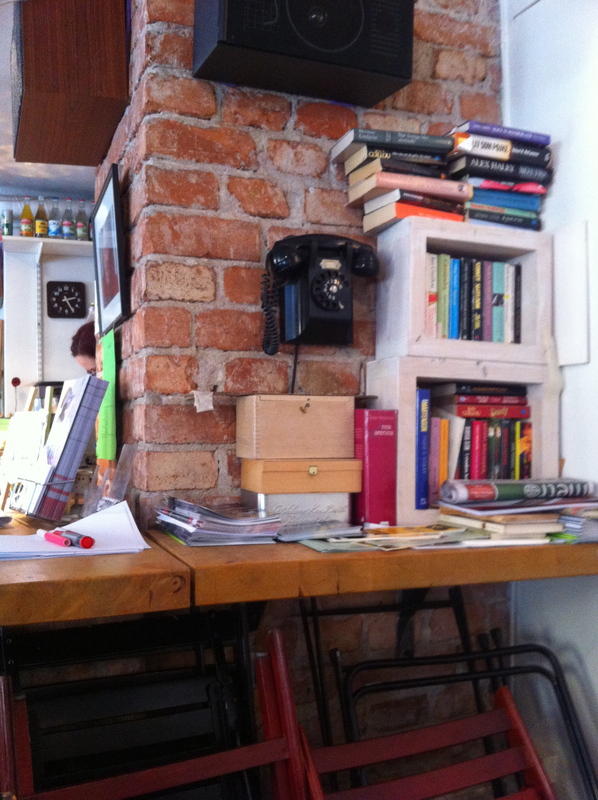 However, this morning I found something at Cozy Café that I had never seen before. Maybe because I am usually attracted by the more generous pieces of cake. In any event, I could see from the description that it was something dipped in white chocolate. Basically, it was pretty much what we call a Swiss roll in Canada, but dipped in white chocolate. 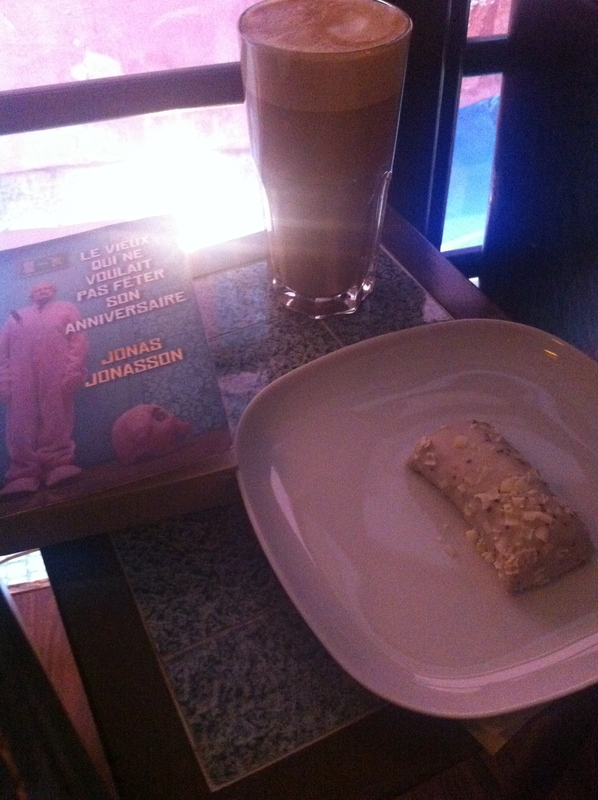 It was about noon when I got to Cozy Café and I had a bit of time before catching a movie at 15:15. 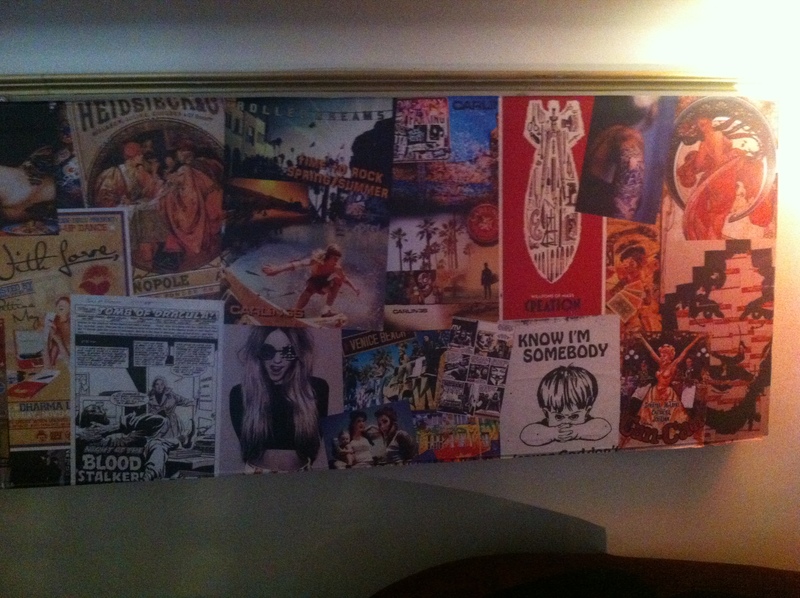 I had a light and funny book with me and I was planning to spend some time at Cozy Café, comfortably sitting in a leather chair on the second floor, in the middle of all the posters which looked like they were straight from a teenager’s room, and with a nice views on the cakes down below! Unfortunately, a bunch of guys came in just before me. They were tourists from the UK, Australia, or maybe New Zealand (I’ve never been good at figuring out the different English accents that are not North American!). Turns out these guys would have fit better in the place next door (an Irish pub). They were loud, trying unsuccessfully to be funny with the staff, and were not in a hurry to leave. 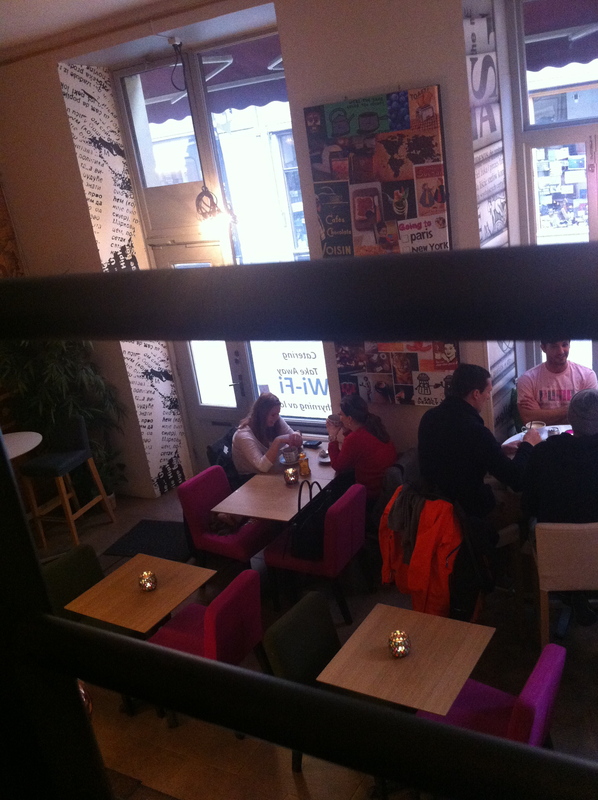 I think I was partly annoyed because they disrupted my plans to read quietly in a nice, cozy café. But I guess I was also a bit annoyed out of jealousy. It might have to do with the lifestyle I have chosen, but I don’t get to go out for brunch on Sunday mornings very often with a group of friends. At the same time, I don’t know if I’d do it very often even if I was given the opportunity. I decided not to spend too much time thinking about that at the moment and accepted that this morning I was looking for quietness. As soon as I was done with my latté, I moved to another café. I knew that the other one would be just as loud, but that’s ok because I expected it. So, I will definitely go back to Cosy Café, but maybe a bit earlier in the morning when the loud tourists are still sleeping after a late Friday night out!